Back in my pre-baby days, when it came to eating veggies, I’d usually just slap a salad on my plate and call it a day. Things have changed a bit now with a baby in the house. Because he only has six teeth and requires softer textures, slapping a salad on his high chair tray just ain’t gonna happen. So in order to keep things interesting, we’ve been doing lots of experimenting with new and exciting ways to serve up veggies. 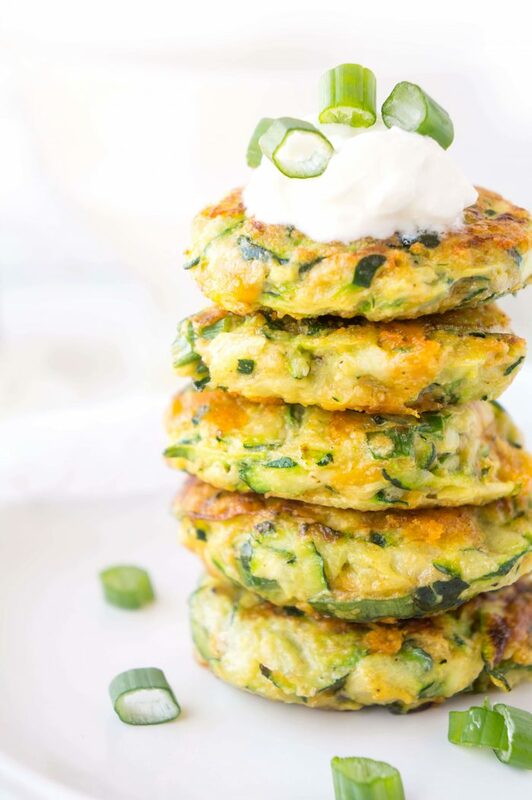 And now we’re officially adding these Easy Zucchini Fritters to the list! After introducing these zucchini fritters, it made me wonder why I’d never made them before. 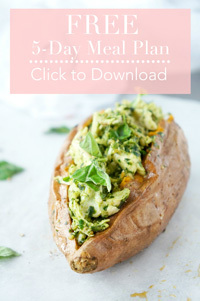 They are SO easy, a great way to get those extra veggies in, and baby LOVES them. And they’re awesome for older children and adults too! 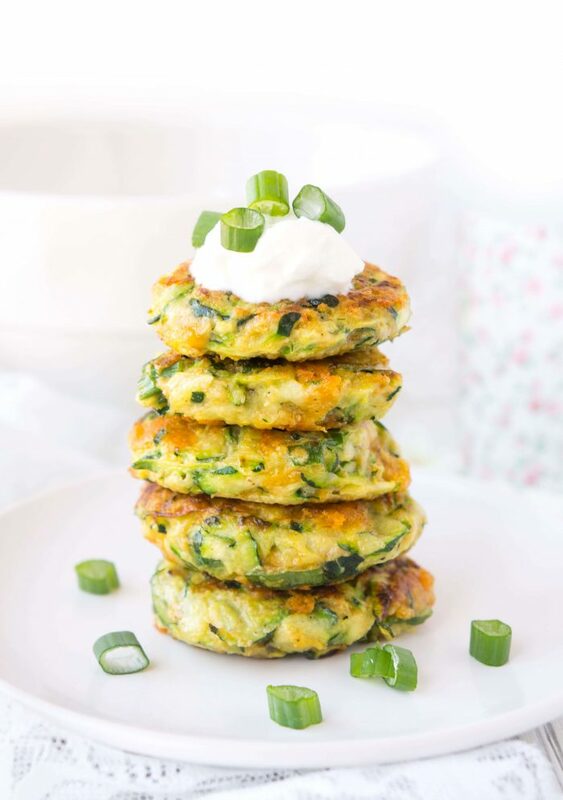 So I’ve tried making these zucchini fritters quite a few times and have learned a few tips along the way. First of all, you want to make sure that you’re getting as much of the water out of the shredded zucchini as possible so that you don’t end up with super soggy fritters. Soggy fritters are no fun at all. In order to do so, place the shredded zucchini in a colander and sprinkle with a bit of salt. Allow the colander to sit in the sink or over a bowl for about 10 minutes. The salt will help to draw that water out of the zucchini. Next, you’re going to wring that zucchini out! Give it a good squeeze with your hands. It’s amazing how much water actually comes out of that stuff! It’s an interesting little science experiment. 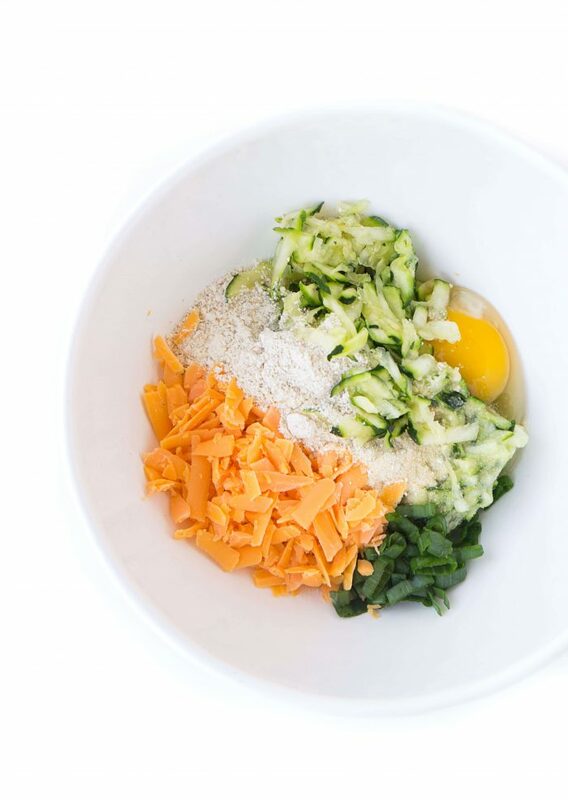 Now that the zucchini is ready to go, you can dump all of the ingredients in a bowl and give it a good mix until all of the components are incorporated together. Through the process of recipe testing, I tried using a few different types of flours and the flour that give the best outcome and most health benefits was oat flour. You can find oat flour in most grocery stores, OR, better yet, you can make it at home by simply blending up oats in a blender until it reaches flour consistency. Next, you’re simply going to pack the mixture into small patties using your hands and place them in a frying pan with a bit of olive oil to prevent them from sticking. They only need to cook for about 2-3 minutes per side. 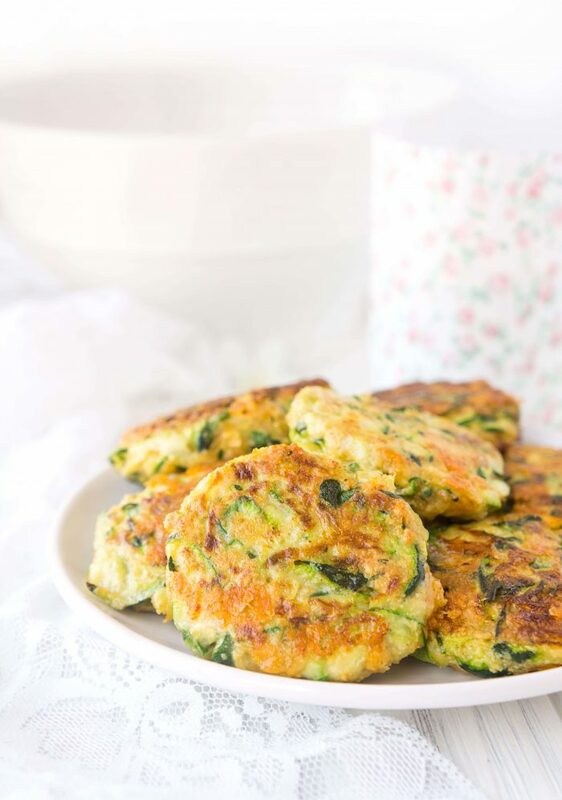 The end result will be zucchini fritters that are slightly crispy on the outside and soft on the inside. You can get creative when it comes to serving these fritters. Personally, I think they taste best served warm and paired with a yummy dip such as a marinara sauce or sour cream. This is especially fun for kids too! Who doesn’t love dipping their veggies, especially in fritter form? However, you can also eat them at room temperature or cold. 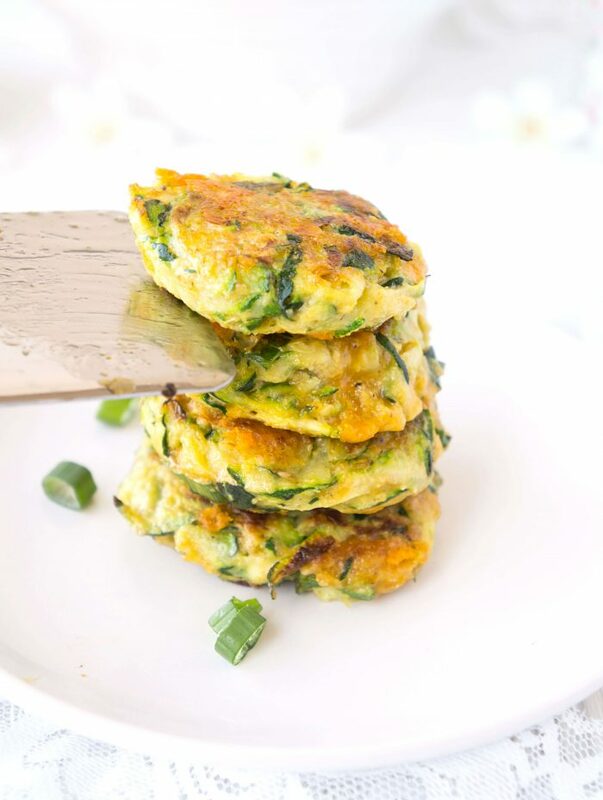 So the amazing thing about these fritters is that you not only reap the benefits of the nutrients from the vegetables themselves, you also get an extra dose of nutrients from the other ingredients as well! Zucchini: zucchini is a good source of potassium and manganese and an excellent source of vitamins C and B6. Zucchini also has been found to be relatively high in lutein and zeaxanthin, which can help support overall eye health. Cheese: contains a host of nutrients like calcium, protein, phosphorus, zinc, vitamin A and vitamin B12, which can help strengthen bones and teeth. This is especially important for growing children! Eggs: an excellent source of high quality protein which is essential for building and repairing muscles, organs, skin, hair and other body tissues. They are also a good source of choline which plays an important role in brain development and function. Oat flour: is a good source of soluble and insoluble fibre which can help stabilize blood sugar levels, lower cholesterol and keep you feeling full and regular! I recommend storing in the fridge for up to week, but I highly doubt they will last that long. Usually I’ll make up a batch for the week and our little guy will have a couple every day as a side or snack. They make life so easy because they’re already prepared so you just have to heat them up. Say buh-bye to the endless veggies struggles! 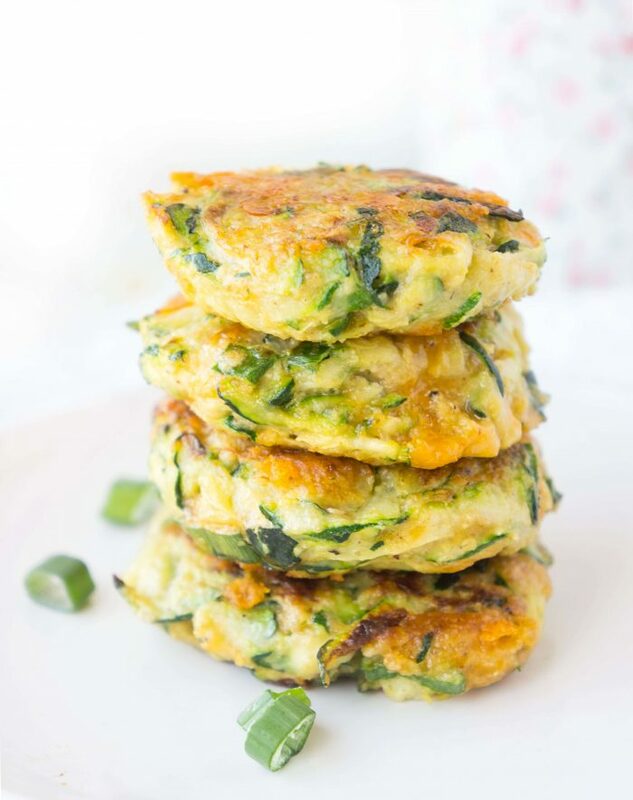 These zucchini fritters are a game changer when it comes to getting kids (and adults) to eat their veggies! 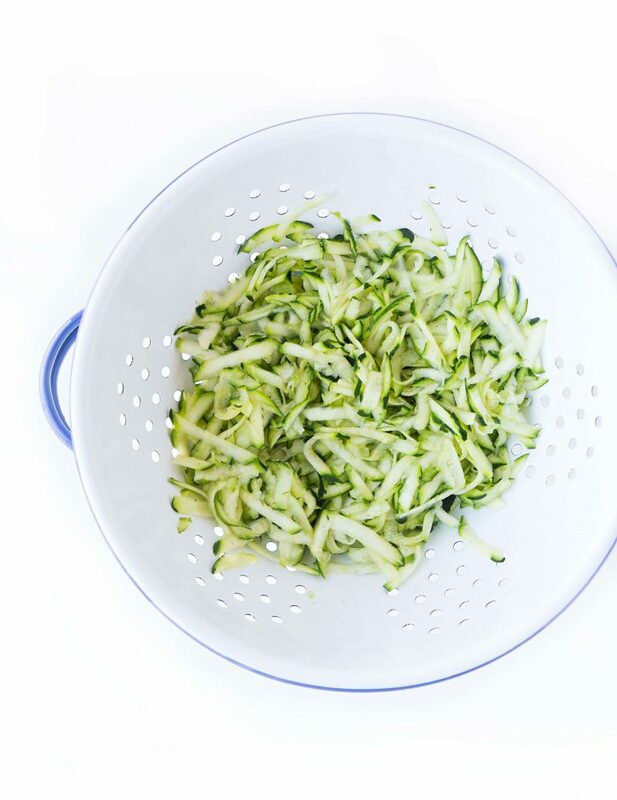 Place shredded zucchini in a colander and sprinkle with a bit of salt. Let it sit for about 10 min. Using your hands, squeeze out as much water as possible from the zucchini. Mix together all of the ingredients, other than the olive oil in a medium-sized bowl. Heat the olive oil in a frying pan over medium-high heat. 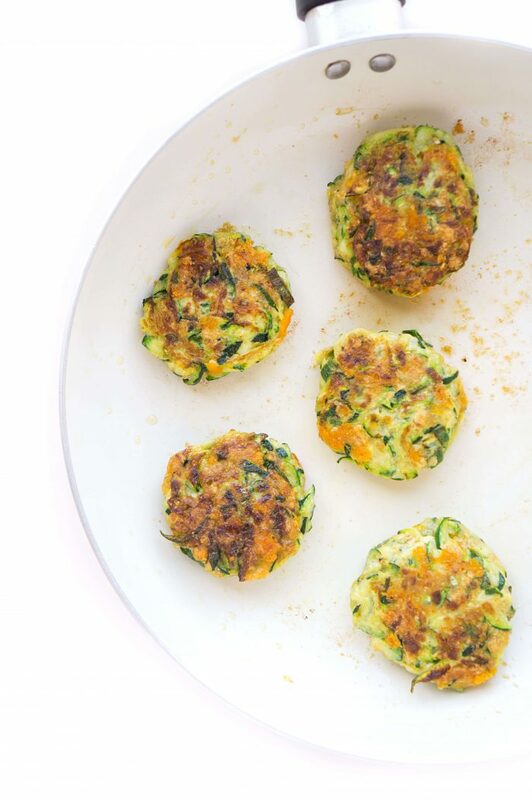 Using your hands, pack the zucchini mixture into about 8-10 fritters. Place them about an inch apart in the pan. Cook for about 2-3 minutes per side or until slightly browned and crispy. Serve warm or at room temperature alone or along with a dip. *If preparing these fritters for babies, leave out the salt. 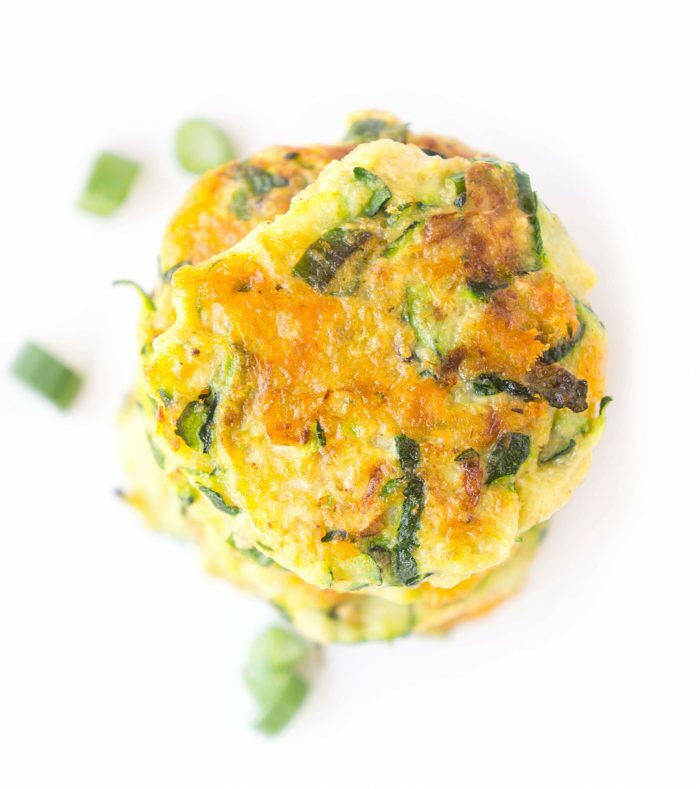 If you have a chance to try out these Easy Zucchini Fritters, I’d love to see your pics! Tag me on instagram @hauteandhealthyliving and use the hashtag #hauteandhealthy!